While Tim was gone on the mission trip a couple of weeks ago, Shelby completed a "good attitude" chart. I basically print a generic chart with spots for stickers, and we pick a good behavior that needs some encouraging. When the chart got filled up with stickers for "Whoa, hey that was an awesome attitude!" she had chosen baking cookies together as a reward. Now, I can't be having any fresh-baked, sugar filled, "real" cookies in the house. Not a whole batch. But I couldn't make a batch with her then turn around and give them all away either. 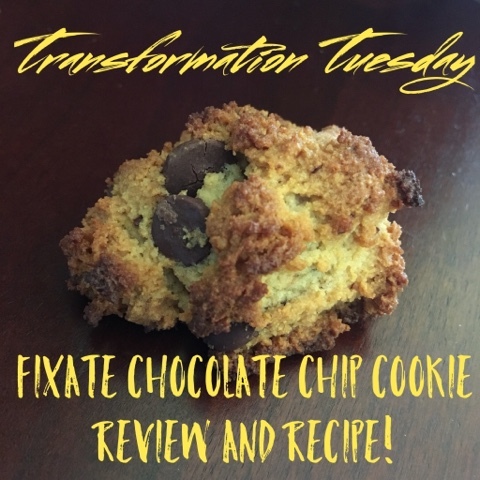 So I decided to try a clean chocolate chip cookie recipe from my Fixate Cookbook. Seriously - we have loved pretty much everything we've made from this book!! 3. Combine flours, baking soda, and salt in a bowl and mix well. 5. Add egg, egg whites, vanilla extract; beat for 2 additional minutes. 6. Slowly add flour mixture; mix until blended. 8. Drop by rounded TBSP onto baking sheets. 10. Store in an airtight container (I think this part is important). The first day, I thought they were pretty amazing. Being pretty-well sugar-detoxed makes anything sweet taste like an ooey gooey explosion in your mouth. The girls, who may have been expecting something more like Oreos, were unimpressed. In fact, Shelby said "Maybe you can't make these again. We make cookies like grandma next time." The NEXT day, and following days, they were much improved! The girls aren't clamoring over them like they do Oreos ... but I think that's in part because they don't induce those "more ... more! ... MORE!" cravings. They DO like them though! Tim does too. As of my writing this (less than a week after he got back) there are only two left. Shelby later said "These are good now! And they're HEALTHY! Mommy you can make healthy cookies!" So ... I'd say they are a win! I don't have to cheat ... woo hoo! The kids appreciate them! WOO HOO! If you take them to a pot-luck you won't have people knocking themselves over asking you to write down the recipe, but hey ... they won't be falling over in a diabetic coma next to you after eating a couple either.